An interim report by the United States Anti-Doping Agency (USADA) which claims athletics coach Alberto Salazar infringed anti-doping rules has now been published in its entirety. The report alleges that Salazar, working with Houston endocrinologist Dr. Jeffrey Brown, infringed anti-doping rules with regards to several of his athletes in the Nike Oregon Project (NOP). The confidential 269-page report was prepared by USADA for the Texas Medical Board, from which it was seeking further information in March 2016 over Brown’s involvement with the NOP. It was leaked by hacking group Fancy Bears and sections of it have been reported upon by The Times and the New York Times. It is now in the public domain in its entirety on US athletics site Flotrack. The report contains strong suggestions from USADA that all of the NOP runners that received L-carnitine injections from Dr Brown – Dathan Ritzenhein, Galen Rupp, Tara Erdmann, Lindsay Allen, Alvina Begay and Dawn Grunnagle – were in breach of anti-doping rules. While L-carnitine is not on the World Anti-Doping Agency (WADA) banned list, the WADA code limits intravenous infusions and/or injections to 50 millimeters over a six-hour period. USADA argued that, working from evidence of levels present in athletes involved, including 2012 Olympic 10,000 meter silver medalist Rupp, it would have been scientifically impossible to reach those L-carnitine levels without infusing much more than 50ml. On page 250, the report states: “For the reasons set forth above, it appears highly likely that Galen Rupp received an L-carnitine infusion from Dr Brown in excess of 50ml in violation of the applicable anti-doping rules and in violation of Dr Brown’s duty to Galen Rupp not to cause him to violate the rules. Salazar has emphatically denied violating anti-doping rules. He has said that he and his athletes closely followed all protocols established by anti-doping authorities. Although the report was compiled more than a year ago, USADA has not progressed its case in significant manner in the interim. In January 2011, Salazar became aware of research from the University of Nottingham in England that appeared to show significant improvement in performance when athletes raised their L-carnitine to extremely high levels. L-carnitine is a substance that occurs naturally in the body and helps convert fat to energy. Salazar allegedly first gave his athletes L-carnitine drink products, before turning to other methods of introducing it into their metabolisms. The report cites part of an email sent by Salazar to disgraced cyclist Lance Armstrong and assorted Nike executives in 2011 which evidences his early enthusiasm for the effects of L-carnitine, following an early treadmill test on an assistant coach, Steve Magness. Medical records obtained show that Dr Brown then gave Magness a continuous gravity drip infusion of L-carnitine on November 28, 2011 that lasted four hours and ten minutes. The records note that Dr. Brown used the same duration, method and solution of L-carnitine and dextrose outlined by the Nottingham researchers. From Magness’ sworn testimony, anti-doping officials concluded that “it appears very likely that the infusion volume administered to Steve Magness by Dr Brown was at least 1,000ml”. Soon afterwards it is alleged that Salazar emailed: “Lance, call me ASAP. “We have tested it and it’s amazing. 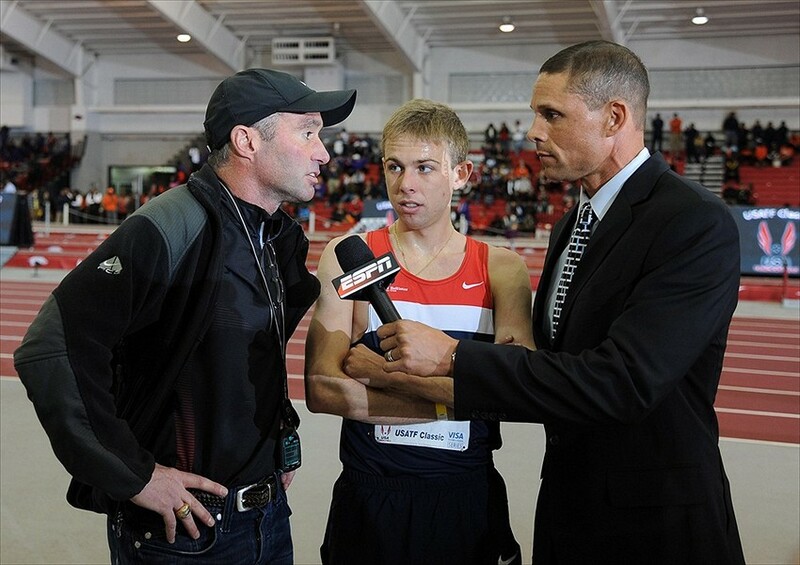 “You are the only athlete I’m going to tell the actual numbers to other than Galen Rupp. “All completely legal and natural. The report also produces evidence to claim that Salazar misled athletes about his interactions with USADA and the treatment they were receiving, and also alleges that he and Dr. Brown showed little regard for the health of NOP athletes. It cites the fact that several NOP athletes were prescribed with calcitonin as a form of athletic assistance until late 2012, when assistant coach Pete Julian, a cancer survivor, emailed the group to stop this practice once it emerged that calcitonin had been cited as increasing chances of getting cancer. Marathon runner Dathan Ritzenheim, who left the group in 2014, was reported to have replied immediately: “Is this some kind of a joke? The report adds that athletes were diagnosed with hyperthyroidism even when their thyroid levels were within normal ranges. There is speculation too over Salazar’s apparent “obsession” with improving his athletes’ testosterone levels. Salazar has previously admitted to carrying out a testosterone experiment on his sons, saying he did it in order to see whether it was possible to sabotage an athlete and make them test positive by rubbing testosterone cream on them. The report questions this motive, implying it could have been an experiment in micro-dosing to evade testing, although this remains as speculation.